RS2 makes two mono 1/4" G-Lines, just like a guitar cord. Shared ground wire/shield. For single mono audio or amp footswitches having a mono TS 1/4" plug, use RS1 Single G-Line. 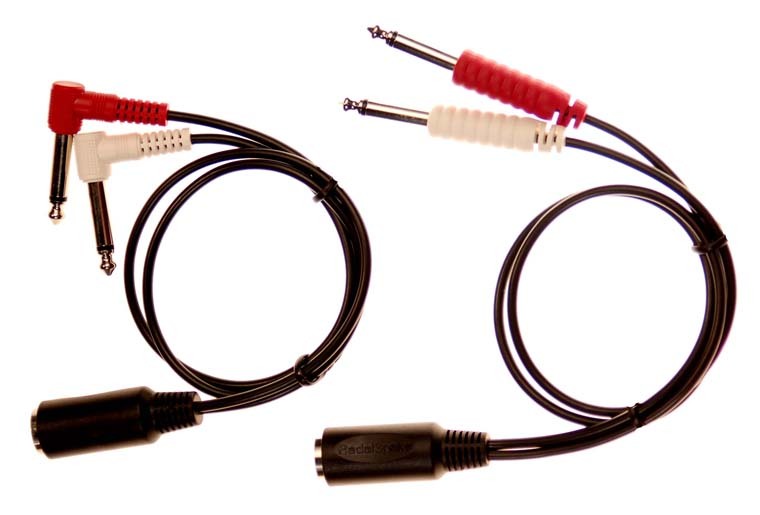 For stereo audio or amp footswitches having a stereo 1/4" plug, use RS1-TRS Stereo G-Line.